In some royal families, jewels can be both beautiful and contentious. Today’s tiara is a magnificent royal tiara with a rather complicated and even difficult story: the Cartier tiara owned by Queen Elisabeth of Belgium. Elisabeth was born a Bavarian duchess; she married Albert, the future king of the Belgians, in 1900. 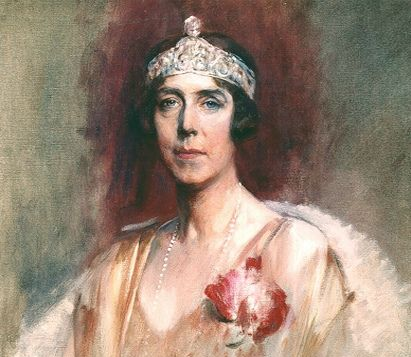 The two ascended to the Belgian throne nine years later, so by the time she acquired this tiara in 1912 from Cartier, she was already a queen. The sparkler, which Elisabeth wore low across her forehead in the then-fashionable bandeau style, is made of diamonds set in platinum. Some have refered to the piece as a "foliated" tiara, and indeed, you can see leaf motifs interspersed with the scrolling elements that dominate the tiara. Photo copyright blog reader Nancy. Do not reproduce. Queen Elisabeth retained the tiara even after the unexpected death of her husband in a 1934 mountain-climbing accident. She chose it for some of the most public occasions held during her lifetime in Belgium, including the religious wedding of her son, Crown Prince Leopold, and Princess Astrid of Sweden in 1926, and the ball held during the wedding celebrations for her grandson, King Baudouin, in 1960. 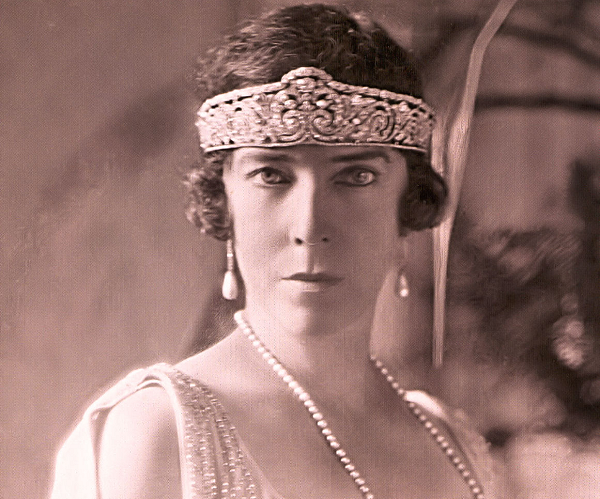 When Elisabeth died in 1965, she left the Cartier tiara to her son, Leopold. He had reigned in Belgium as Leopold III until 1951, but in the wake of controversy about his sympathies during the war (and immediately after a general strike), he had abdicated in favor of his eldest son, Baudouin. The next wearer of the tiara after Elisabeth was Leopold’s second wife, Lilian, the Princess of Réthy. Lilian actually had connections of her own to the Cartier family: her sister, Lydia Baels, was married to the head of Cartier’s London branch, Jean-Jacques Cartier. Whether or not that family connection had an impact on what eventually happened to the tiara is unclear. Leopold died in 1983, and in 1987, Lilian sold Elisabeth’s tiara back to Cartier. Leopold had left the tiara to his wife, so it was Lilian’s personal property to dispose of as she wished. There are reports that the sale caused controversy in the family, as Lilian apparently sold the piece without consulting King Baudouin and Queen Fabiola. Really, the bottom line is that we don’t know precisely what the circumstances were in the family surrounding the sale of this diadem, and we probably never will. Today, the tiara remains in the archives of Cartier, and it is frequently exhibited. We may not be able to see the tiara glittering on Belgium's royal ladies these days, but at least we can see it in person.